At seventeen, Jacqueline Pascarl married a royal prince and embarked on what she believed would be a fairy-tale existence. But it soon became a nightmare. After years of abuse at the hands of her husband, Jacqueline escaped with her children, hoping to leave her past behind. But what followed would haunt her for the next fourteen years.In this heart-rending story, Jacqueline describes how her husband kidnapped their two young children and forced them to cut off all contact with her. She tells of the pain and helplessness she felt at their loss but also of how she channelled her grief, forging an existence as an aid worker and humanitarian ambassador, all the while desperately hoping to hear news of them.In 2006, she was reunited with her long-lost children, and in Abducted she reveals the dramatic events that led to their meeting. 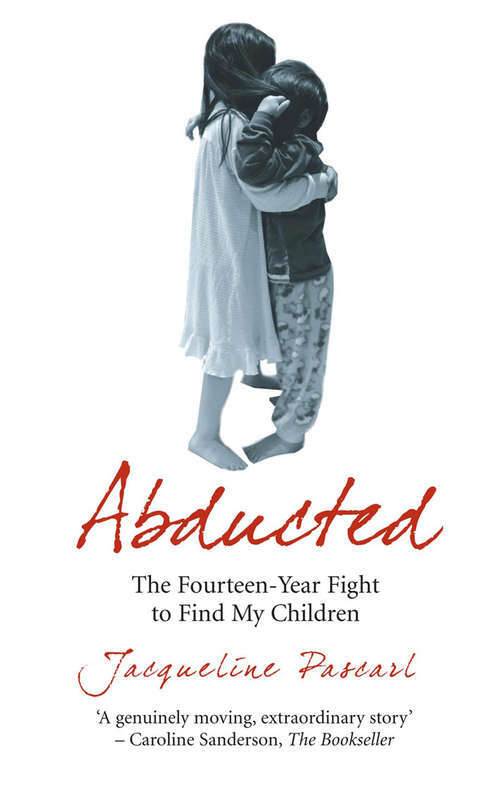 This is a candid, compelling account of living under the shadow of child abduction. It is an unforgettable ride through tragedy, loss and, finally, triumph.